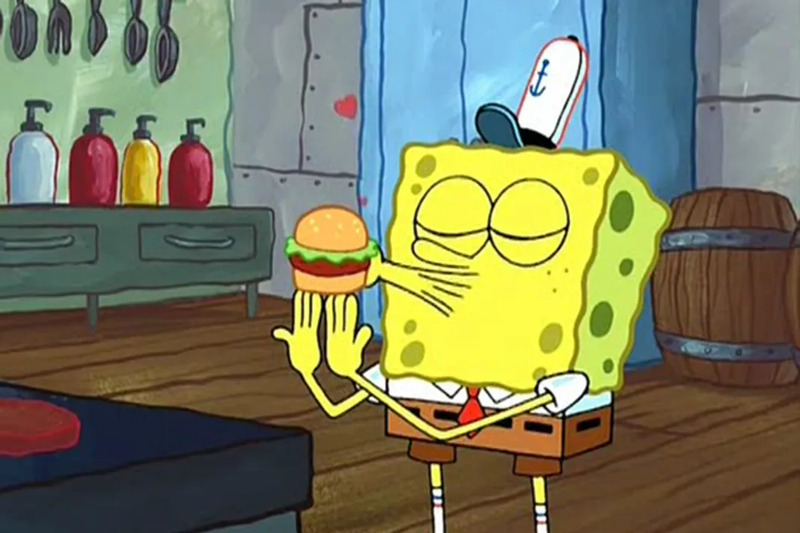 We FINALLY Know What The Krabby Patty Secret Formula Is From 'SpongeBob'! We FINALLY Know What The Krabby Patty Secret Formula Is From ‘SpongeBob’! If you’ve been obsessed with SpongeBob SquarePants since the series first debuted way back in 1999, then you’ve probably tried to figure out what the secret formula is in the Krusty Krabs’ delicious Krabby Patty. After all, Plankton has been trying every diabolical plot possible in order to get his antennas on the secret ingredients. And yet, all of these years later, he has yet to fully succeed. There have been many hints about what the secret formula is. We do know that the hamburger consists of lettuce, cheese, tomatoes, tartar sauce, mayo, flour, tumeric, sea salt, land salt, barnacle shavings, the patty, mustard, ketchup, the secret formula, two buns and onions. If you Google the secret formula then you will come up with, “a pinch of King Neptune’s Poseidon Powder”. But we’re not really convinced that that’s the right answer. Reddit user Herolover96 suggested a different secret ingredient that makes A LOT more sense to us. Can you guess what it is?! 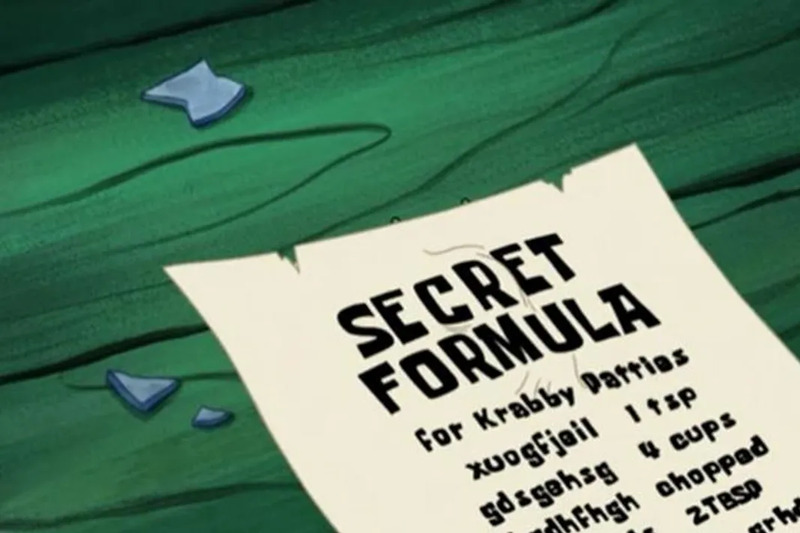 That’s right, the secret formula consists of NOT A SINGLE THING. It’s all a ruse that crafty Mr. Krabs came up with in order to stop Plankton from focusing on The Chum Bucket. It’s legitimately brilliant marketing! Think about it, when Patrick was in charge of The Chum Bucket’s slogan Plankton was getting more customers than the Krusty Krab. This makes so much sense!! We all know that Mr. Krabs is cheap AF. Would he really be out here spending extra money on King Neptune’s Poseidon Powder? !